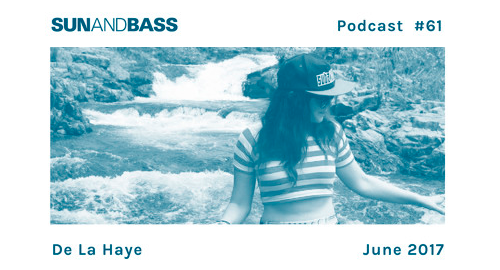 SUNANDBASS Podcast edition 61 comes from DJ de la Haye, one of the leading ladies in drum and bass down under. Originally from New Zealand de la Haye has been a driving force in the Brisbane broken beat scene since moving to Australia in 2000. Her sets are a diverse mix sure to set any dance floor alight, from rolling liquid, to tech step to dub & ragga beats, there is something to please all tastes. Before discovering jungle in 1996, her musical influences ranged from punk to soul to reggae & hip hop, which surely have had a hand in the wide array of music she covers in her sets. De la Haye frequently plays around NZ and Australia, as well as running various club nights over the last 9 years such as the monthly Junkard sessions, her contribution to the Brisbane club scene has been an incredible asset. She has also been a regular at SUNANDBASS, playing at the festival since 2009. We have been lucky enough to have de la Haye record this latest podcast for us, check it out!